3D Virtual Worlds: The future of Online Marketing? Last night in my Management Information Systems class we discussed a case about using Second Life as a marketing tool. We were lucky enough to have the professor who wrote the case study present it to us (or walk us through discussing it). For the first half of the session, we discussed as a class the relative benefits and reasons to do it against the drawbacks and reasons not to. In a 30 person class, only 3 people initially saw the investment as a good one. My own misgiving was echoed by at least one of my classmates: with a narrowly limited budget, is spending it on an unproven idea the best course of action - especially when the density of person/land area seems so small in SL? After discussing, we were even luckier to have Matt Nixon, the Director of E-Commerce for STA Travels, North American Division. It was his idea to get his company a presence on Second Life, and now he was here to back up his decision. Quite some time ago when I read about what could be done on SL via its economy (several months before I started blogging, if I recall correctly), I thought I'd like to get involved and start a company that developed for it. Of course, I've still yet to act on it, but given my prior predisposition to wanting to do that sort of thing, when Matt mentioned two of his primary reasons for doing it - wanting his brand to have a progressive image and getting a good deal on the price by being an early adopter - I was easily convinced to change my position. He also talked a bit about their strategy, which I won't go into here, but it seemed more solid after listening to him speak than after simply reading the case. It's still too early to tell if this will be a flop - for STA, their site is still under development, and in general, it is still new anyway - but there are some signs pointing to success. For example, companies who have developed their own islands include Toyota, Mazda, Starwood Hotels, IBM, Circuit City, Sears, Dell, Sun Microsystems, MTV, Adidas, American Apparel, PA Consulting, and Major League Baseball. Not-for-profits include the American Cancer Society and "a number of universities" (both lists from the case study, which isn't public to my knowledge, so I don't want to release it before it is completed, much less violate the copyright by posting it myself). The company's backers include some of the world's smartest, richest, and most successful tech entrepreneurs. The chairman and first big outside investor is Mitch Kapor, creator of Lotus 1-2-3, the spreadsheet application that helped begin the PC software revolution. Other investors include eBay founder Pierre Omidyar, Amazon CEO Jeff Bezos, and Microsoft chief technology architect (and inventor of Lotus Notes) Ray Ozzie - each credited with a seminal networked product of our age. Those are some real heavyweights. And what interests me most about SL is its economy. Aside from the fact that you could use Euros and deposit them to convert them to Linden dollars (the currency of SL) and then go to the United States and withdraw them as US Dollars, you also see people buying genitalia, hair, shirts, and other items for their virtual selves. It's not a far leap to see that converted to selling real life items. You can check out some economic stats from Second Life here. In particular interest to my case is that this month (March 2007) has seen about double the number of islands sold as last month, with half-again as much land auctioned off. They seem to be gaining new members at a rate of 20 thousand per day, though it seems only a little over a million residents are active participants, with 20-30 thousand on at any given time. In particular, they have just about doubled from 2.6 million users to 5+ million since January. Perhaps the most interesting is that at the time of this writing, over $1.5 million (US) had been spent in the world in the last 24 hours. That's up from $600 thousand per day back in January. I've focused on Second Life here because that is the one I'm most familiar with, but I want to ask the general question: do you think the future of online marketing can be found in 3D virtual worlds? Why or why not? I can certainly see that happening. I know they released at least part of their code as open source, in hopes of improving it and/or standardizing it. I can also see someone coming along and building a client program that could hook into different virtual worlds - like a web browser for the 3D internet, where possibly each company could host its own world, rather than Second Life (or perhaps some competitor) being the hub for it all. In general, I think it would need to progress somewhere along those lines to become truly large (in the commercial marketing sense) - right now, there is just way too much demand on their servers. And aside from that, there is way too much someone needs to learn before they can get into it. On that note, however, I know they are letting these initial companies have their own "Orientation Island" if they want it. For example, there is a show called "The L Word" on Showtime (premium cable channel in the US), that has its own Orientation Island (not sure if it is public yet). That is the only one I personally know about. (And for those that don't know - Second Life keeps you in a sandbox of sorts, forcing you to finish a tutorial before you can join the rest of the world). I'm doing some research on this topic for a thesis ... Do you know if I could have a look at the case study which you mentioned? 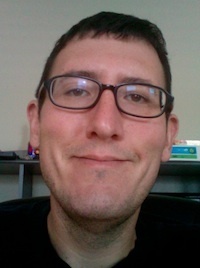 The professor working on the case study was Blake Ives at the University of Houston. I didn't watch them to know if they would be of any use to you, but perhaps you can contact him and ask about where the case study was published. His web site is http://www.blakeives.com/ and you can find his contact information there if you go that route. I didn't see the case in question on his list of available cases at the web site. I am doing some research on this topic for a thesis ... Do you know if I could have a look at the case study which you mentioned? Sorry testimonials, it was so long ago and I tried googling what I remembered, but I was unable to find it.